In the event of a charge involving assault and battery, physical attack, or threat of injury, you must protect your rights using an experienced criminal defense attorney. It can be hard to comprehend the complicated rules and procedures used in the criminal justice system. Jason Wilson helps you in protecting your rights and understanding the system. Jason understands that the unique situations involving your arrest can affect the outcome of your trial, including the severity of your penalty. Assault and battery can be a misdemeanor or felony, and the penalties can range from fines and community service, up to imprisonment. Further, a criminal conviction can always harm your potential education and job opportunities. In North Carolina, possible penalties can include substantial fines, probation, and prison, depending on if the crime is misdemeanor or a felony. 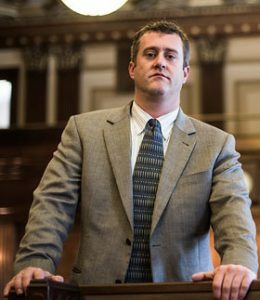 Jason Wilson will fight as your criminal trial attorney, while working with prosecutors to achieve the best outcome for you.